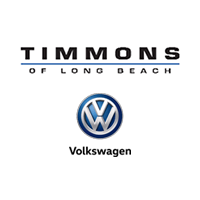 35 VW Atlas Models Available at Timmons VW in Long Beach! Signal Hill families who need a large, capable vehicle will love what the new Volkswagen Atlas can do. This three-row SUV offers a great balance of power and efficiency, ample room for passengers and cargo, loads of standard features and optional upgrades, plus price points accessible to more local drivers. It’s not surprising that Car and Driver calls it “worth the wait”. Get a closer look by touring the inventory available now at Timmons VW. Cerritos drivers will not be disappointed by what this model has to offer: MSRP starting at just $30,500, available 3.6L V6 delivers 276 hp and 266 lb-ft of torque, a 6.5-inch touchscreen with standard Apple CarPlay and Android Auto, and seating for seven and up to 96.8 cubic feet of overall cargo space. Lease or finance a new Atlas today!